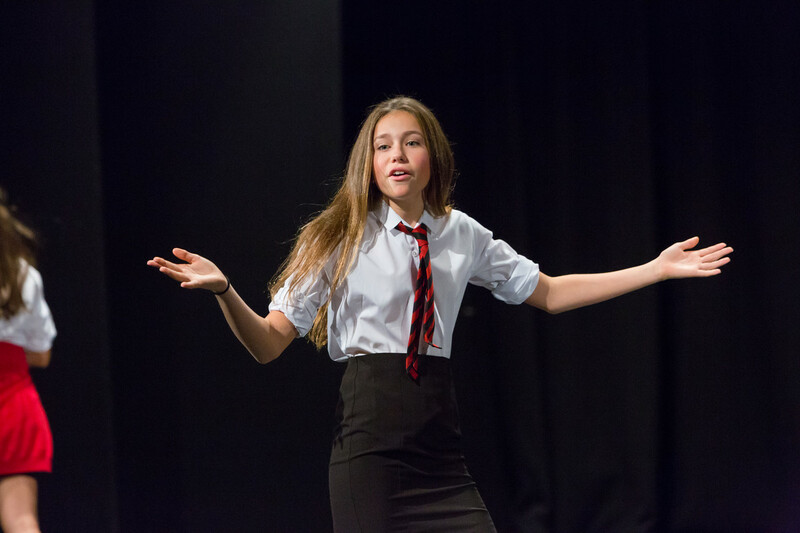 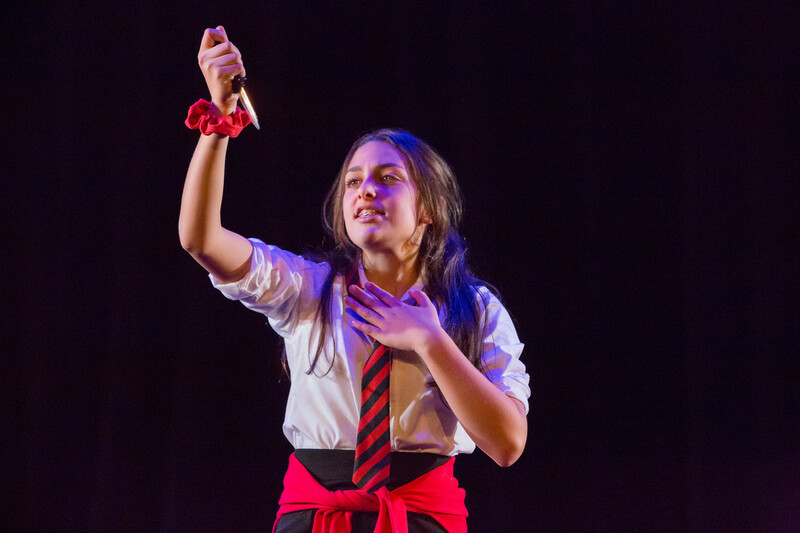 Leatherhead Theatre was transformed into a playground battleground on Friday 2nd November as Form 6 pupils performed their Shakespeare short, ‘Romeo and Juliet’ to an appreciative audience. 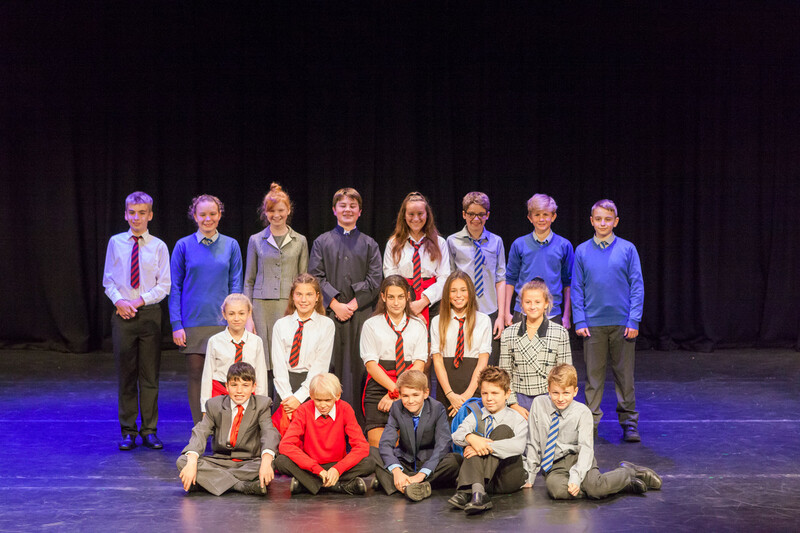 The theatre has become a familiar stomping ground for prep school pupils who once again took part in the annual Shakespeare Schools’ Festival, an event which continues to challenge and excite both staff and pupils. This year, one of Shakespeare’s most iconic plays was given a modern twist with the Capulets and Montagues cast as rival gangs from neighbouring schools. 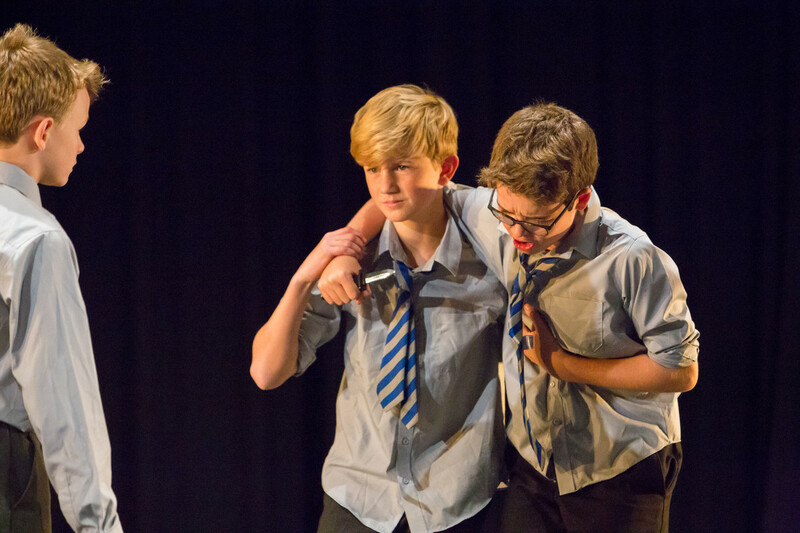 Teenage angst was realistically portrayed by the warring teens and verbal and physical insults were thrown liberally across the stage. What made the production so accessible was the clever use of narration, with Nicola O. and Sophie P.T. 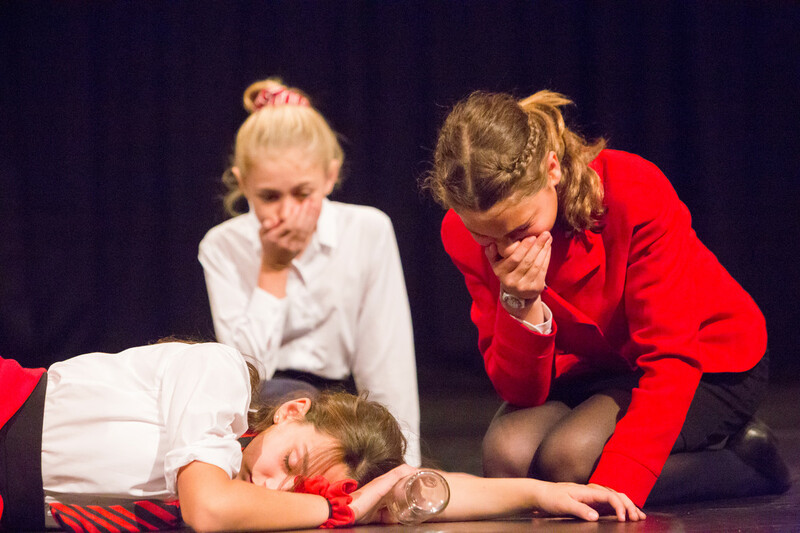 cast as characters reflecting on past events. 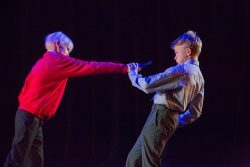 They guided the audience through the multiple twists and turns of events and helped them to witness the plot unfold, confusion take hold and ultimately, love turn to tragedy. 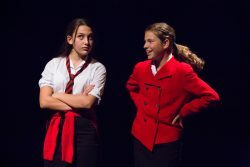 Juliet was played by the fun yet feisty Millie J. who falls in love with Romeo, a dashing Liam R., when he gate crashes a Capulet party with his great friend Benvolio, Freddie P. Of course, they are from rival schools and yet, despite the barriers which might make love impossible, they fight to find ways to be together. 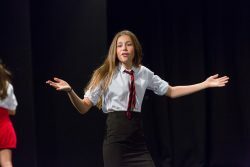 A highlight had to be the contemporary re-imagining of the balcony scene, with the star-crossed lovers Romeo and Juliet placed on opposite sides of the stage using their mobile phones to text each other those famous lines, “Romeo, Romeo. 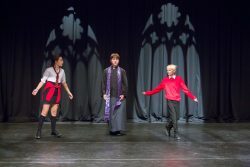 Where for art thou Romeo?” A secretly arranged marriage conducted by the Friar, Rory G. seals their love. 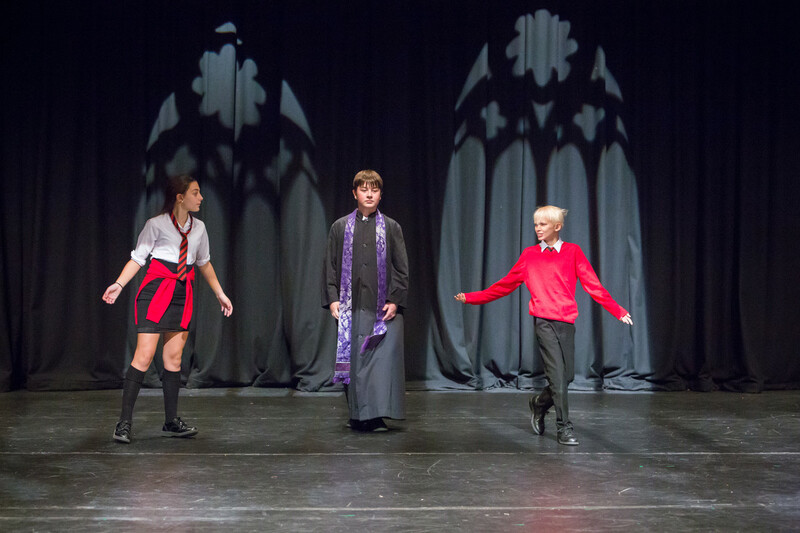 We all know the story which then unfolds, as events conspire against Romeo and Juliet leading to their untimely deaths in the sanctuary of the church. 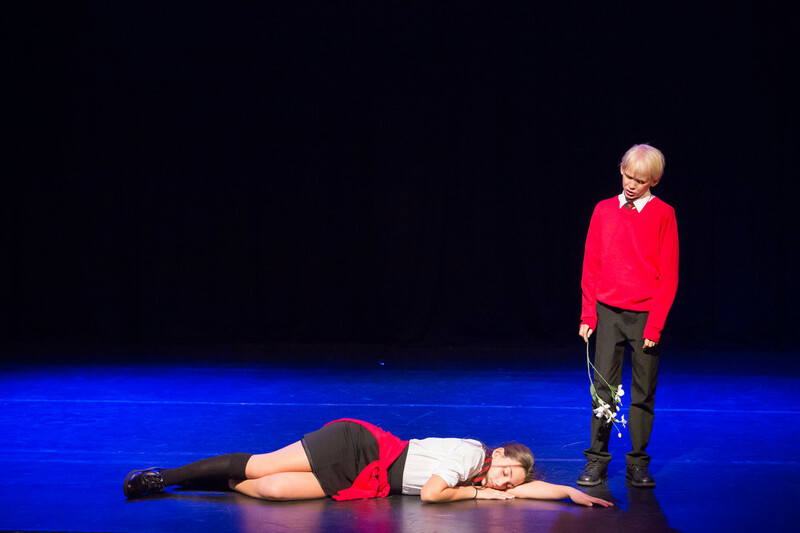 Indeed, the line, “For never was a story of more woe than this of Juliet and her Romeo,” is our final reminder of the tragic events which our prep school pupils brought to life with such originality and flair. Thanks have to go to all who worked so hard to bring this play to the stage: to Mr Waller and Mrs Awwad for their direction; Mr Dixon for the original music score and technical support ably attended by Sabin D. and Jacob W., and to Mrs Everett for the costumes. 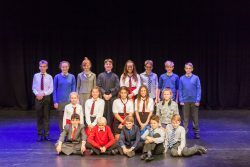 Their efforts have ensured that another group of students have had the wonderful opportunity to experience the stories of William Shakespeare whose characters and plots continue to inspire 400 years after his death.